The last five years running, you've opted for the scariest—and we mean scariest—Halloween costumes you could get your hands on. A few years back you were a flying monkey (shudder), three years ago you were a deranged scarecrow (yikes), and last year you were a clown. There is nothing scarier than a clown. This year you and your friends have a little contest going: who can come up with the least scary costume? What a fun challenge for you! You thought about being a narwhal (but that tusk could be considered a weapon) and you toyed around with the idea of becoming a butterfly (but LOTS of people think insects are terrifying). 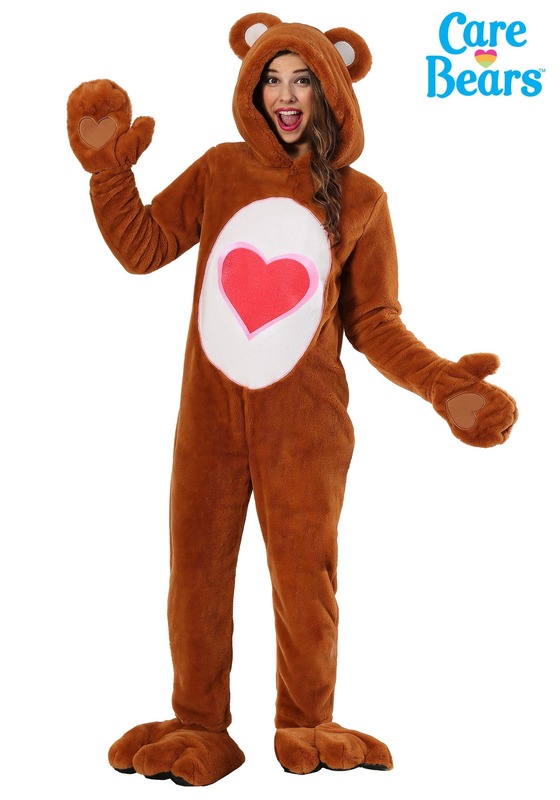 Trust us, this Care Bears Deluxe Tenderheart Bear Costume is THE winning look! 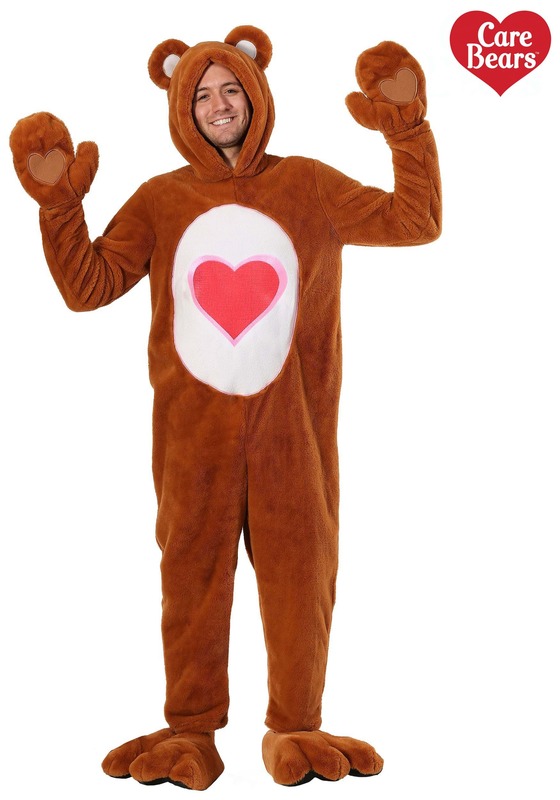 Seriously, there is nothing scary about Tenderheart; he's practically the face of the Care Bears, who are basically the world mascots for cuddly sweetness. Wear this costume and ensure your pals are put in their place! Although we must admit, that sentiment isn't very Tenderheart of you. Tsk Tsk. This fluffy jumpsuit ensures lots of hugs, happy memories, and warm and fuzzy feelings—decidedly NOT scary. It features Tenderheart's signature belly badge of a simple red heart encircled in pure white and lined in soft pink. Stuffed ears are sewn onto the top of the hood, and a bear tail rests at the back. Attached "paws" can flip back to free hands, so you can give cheerful high fives to your friends and offer assistance to your party host all night long. How sweet! 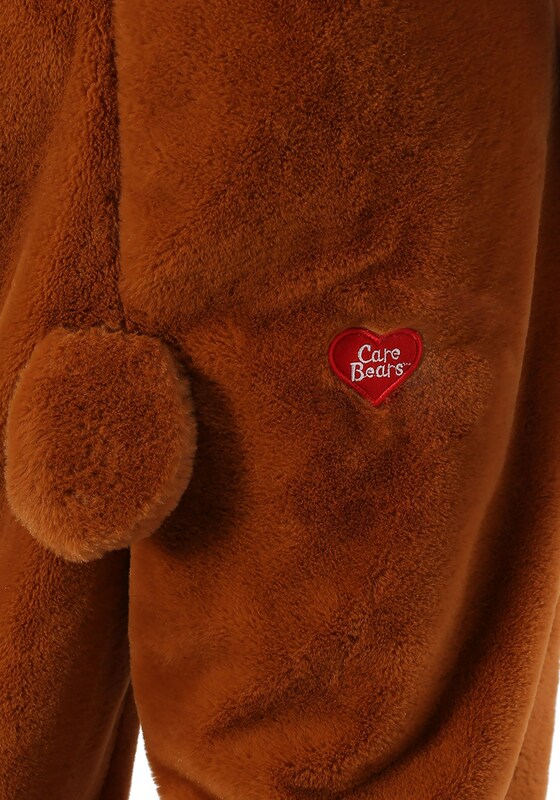 There's no question about it, in this brown, fuzzy Care Bear suit, you're bound to edge out your pals for the most innocuous costume of the year. Well done! We always knew you had this sweet, unscary side to you. But don't worry, we won't tell anyone if you don't want us to!